Swap Meet is Tomorrow! Even more sellers added! 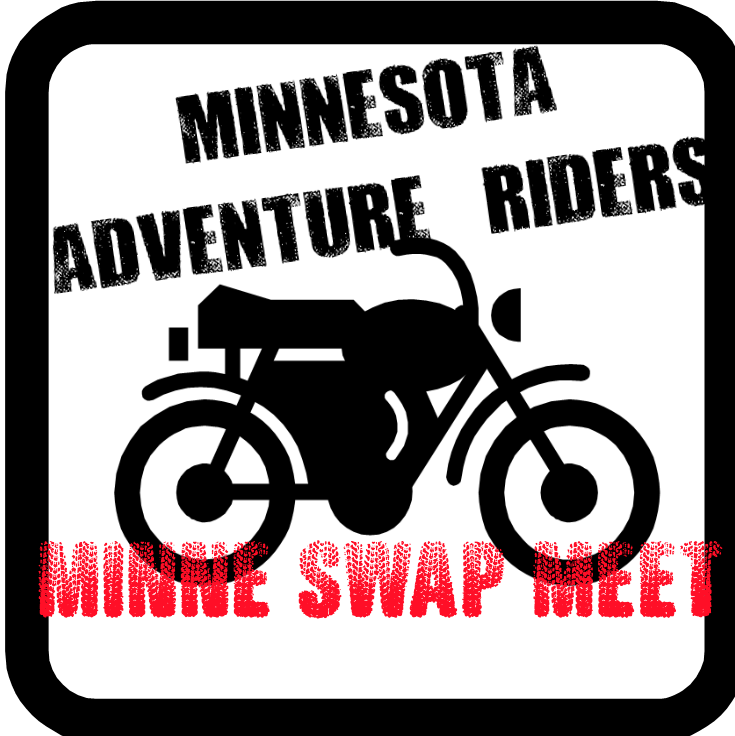 The 3rd Annual Minnesota Adventure Riders swap meet will be held tomorrow, Saturday April 18th. The weather forecast looks great! This year we are also encouraging this as a “Ride-in” to kick off the riding season. So get the bike polished (or just leave it covered in mud) and ride it in. The location is HAS CHANGED. It is now at Highland Park in Saint Paul just a half mile north from our normal location. This is centrally located just off West 7th and Montreal Ave. From 35E exit West 7th street, head west on West 7th, go north on Montreal, and your first right will be the park. The shelter is tucked back in behind the playground at the end of the parking lot. We will be using the shelter picnic tables to setup. -Free helmets, would make a nice planter. -1999 BMW F650 w/factory tank bag, pelican cases, tool kit, spare parts service manual etc. -Thor dirt bike pants size 38. -Darien heated liner – heat doesn’t work, size L.
-Old Skool Eclipse tank bag. More Sellers usually show up on Saturday. Feel free to bring your items even if you haven’t sent them for listing ahead of time. This entry was posted on Friday, April 17th, 2015 at 3:21 pm and is filed under Events. You can follow any responses to this entry through the RSS 2.0 feed. Both comments and pings are currently closed.